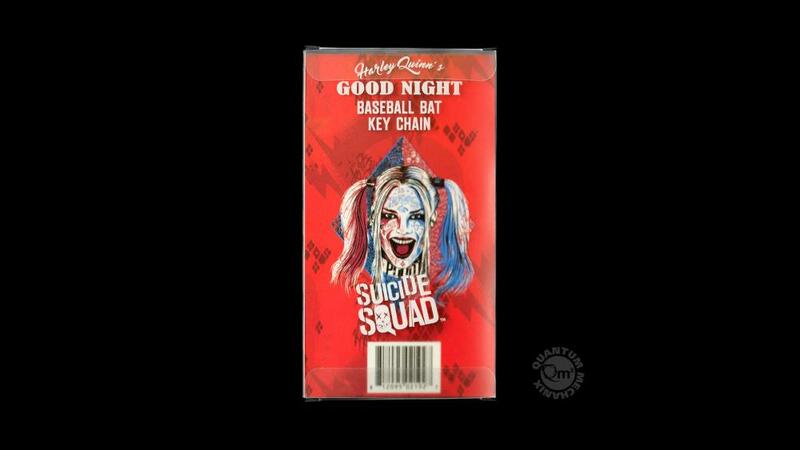 "Hush Little Baby, Don't Say a Word...." In Harley Quinn's twisted version of this lullaby, the lyric continues: "Momma’s gonna kill for you the whole damn world." The beautiful, deranged psychiatrist swings a mean baseball bat while on the prowl as a member of the Suicide Squad. 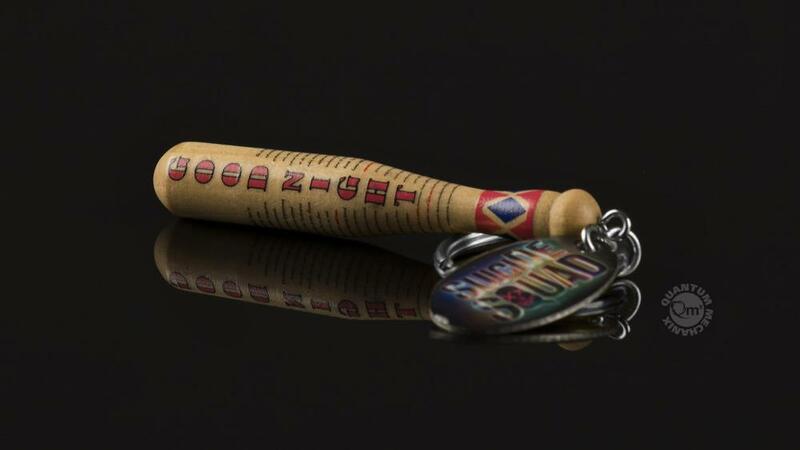 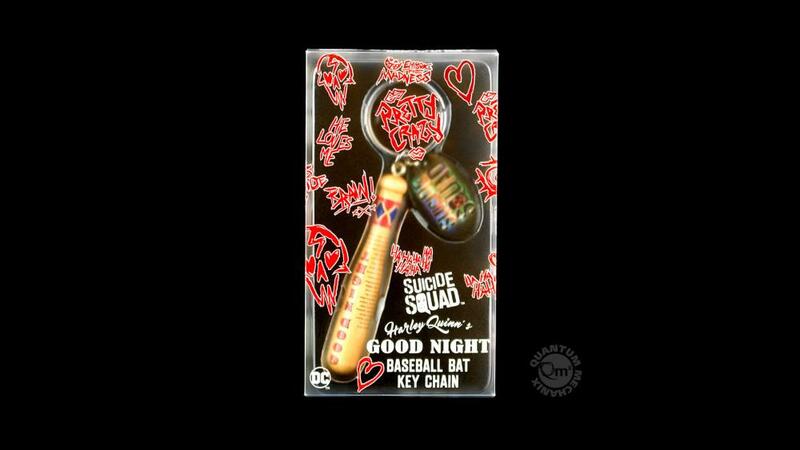 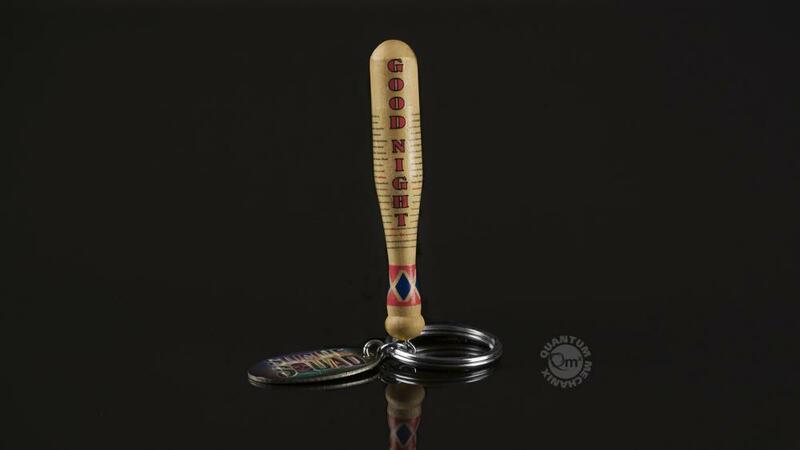 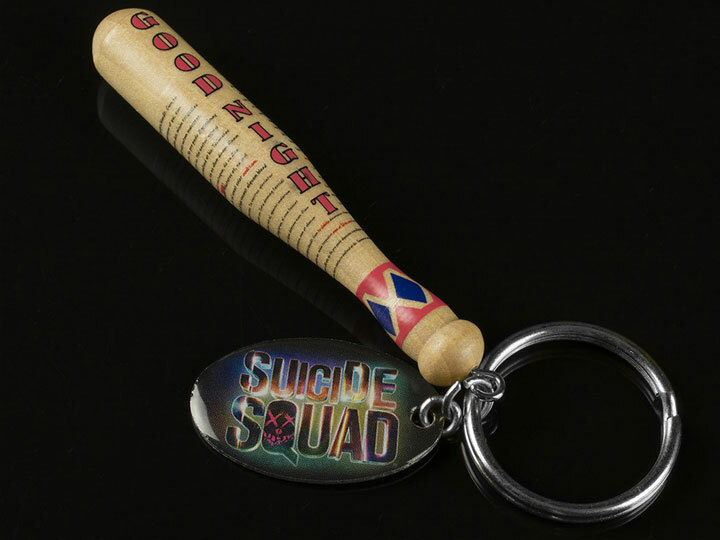 Now that famous Good Night bat can be yours as a miniature replica on our key chain with an enameled Suicide Squad medallion. 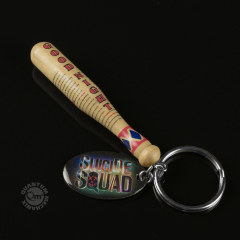 Channel your inner Harley with this sweet reminder of Daddy's Lil Monster.